We have a visiting Coot in our local park. It is quite used to people and a good photographic subject. 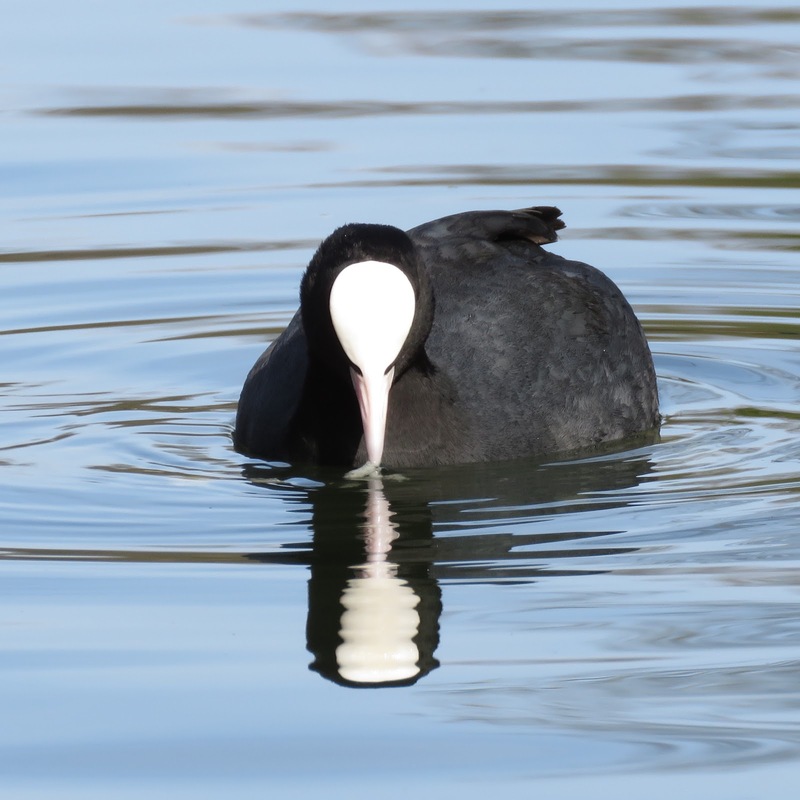 Coots dive for a few seconds - they appear to be very buoyant - and lift pieces of vegetation from the bottom, to feed on the surface. 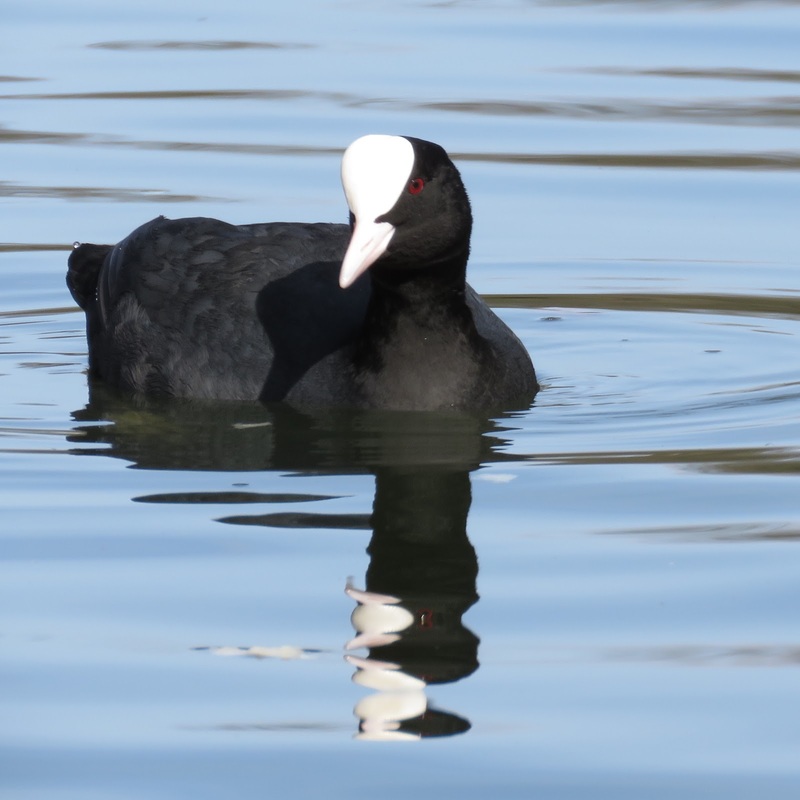 A front view of the coot. 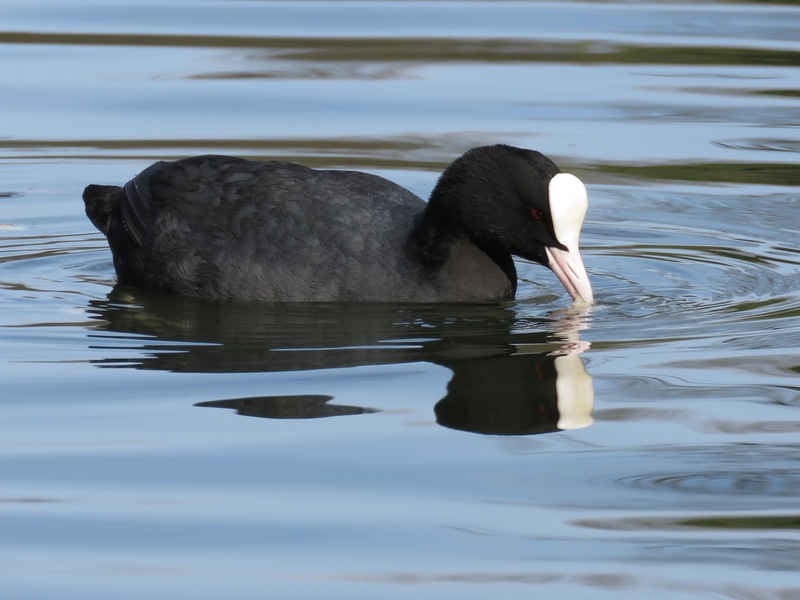 Here is a short video of the coot diving for food.